As a team, we often likened as a swarm of bees. A bee, take from the best part of flower, that is pollen, and then produce only the best from it, namely honey. As photographers, we capture only the best moment that represent your emotion and personality, then produce only the good pictures (and videos) from that. After studied at Erasmus University, Rotterdam, he worked at AON Europe and Ministry of Finance. But, passion cannot be detained, he decide to be a full time photographer. His style is romantic yet bold. Ardi believes that a great picture not only made from high-skilled technique but most importantly is how he could capture "moment of love"
Intan won several awards in fashion design, although she was graduated from Psychology, Gadjah Mada University. Some of fabulous gowns and dresses which wear by our client are designed by her. She is a student of Indonesia top designer, Abineri Ang. She has a private collection named "Prilla Amie"
Reza Prabowo is a proud member of Fearless Photographers, that is directory of worlds boldest wedding photographer. Reza also the first wedding photographer in Yogyakarta who could joined Fearless Photographers and the youngest too! You could see Reza profile here. 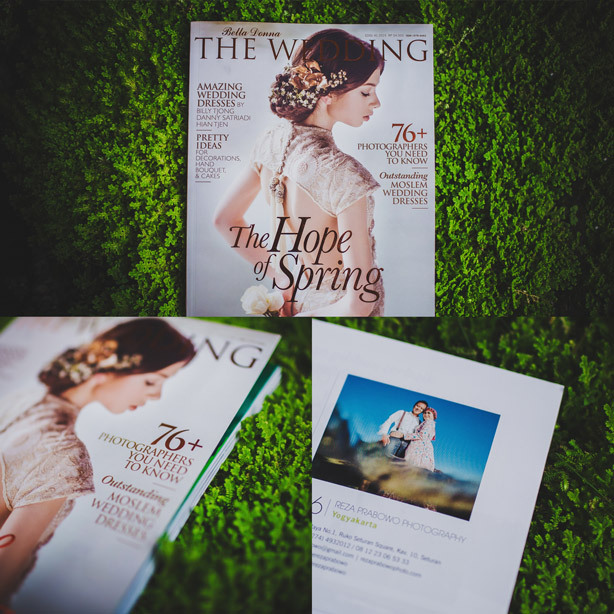 Reza Prabowo Photography is "76+ Photographers You Need To Know"
Reza Prabowo Photography has choosen by Bella Donna - The Wedding, one of the best wedding magazine in Indonesia, as their "76+ Photographers You Need To Know". 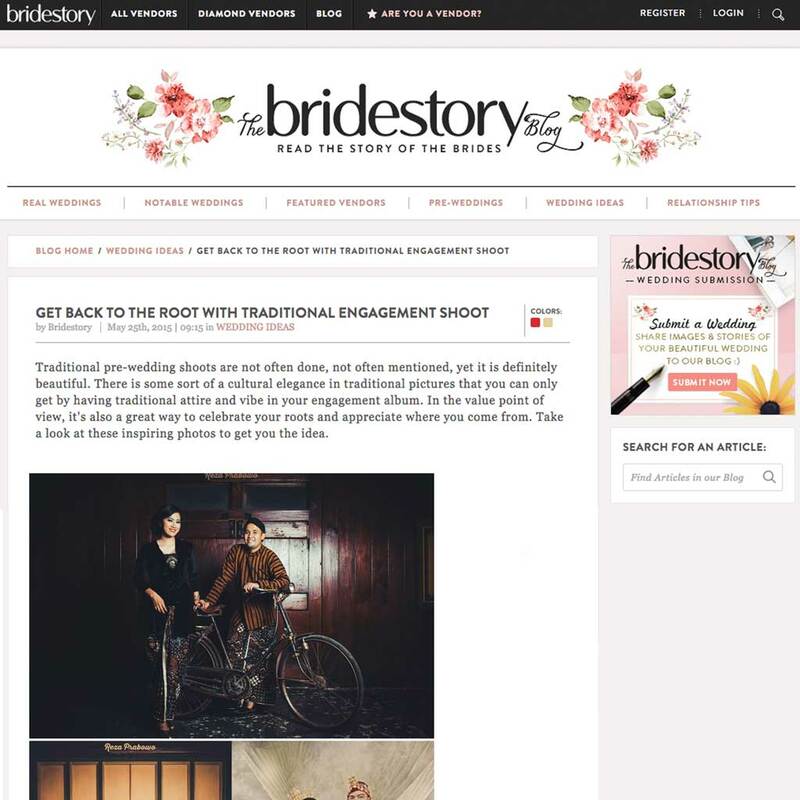 Our photos also have been used by Bridestory for their online advertisment. 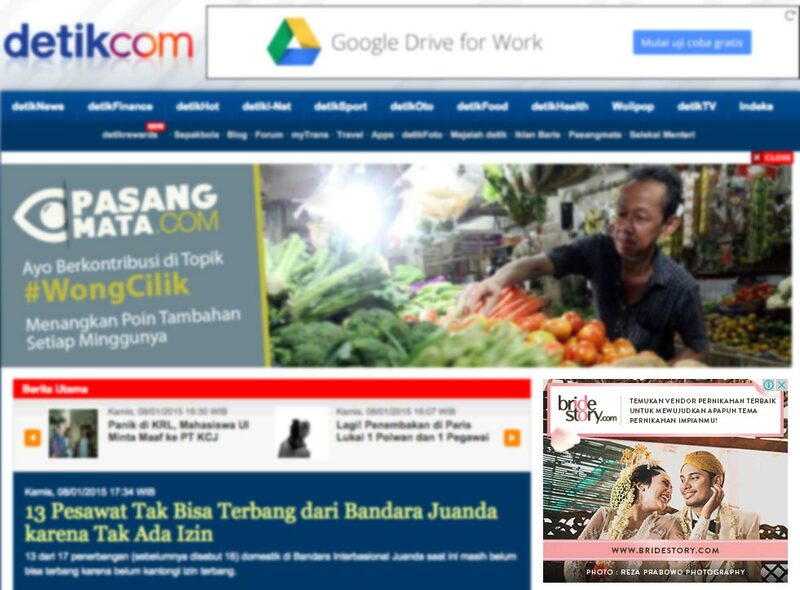 As you know Bridestory is a top wedding directory in Indonesia. Our style is you, means that you inspire us! Before and during the photo session, we would love to discuss everything. We capture every best moment that reveals your personality, feeling, and of course, at the end, could inspire others. So, there is no “one style fit to all”, because everyone is born to be unique. When do you usually do pre-wedding photo shoot? We advice you to begin discussing your concept, location, etc. six months before wedding day and take pre-wedding photo session 4-3 months before wedding day. It’s nice to discuss everything in advance, so you don’t need to rush to your other tight schedule. Are you available for international photo shoot? Off course, yes! Actually, some of our photographer had lived in Rotterdam, The Netherlands. They would be loved to share advice for beautiful places to take photo shoot, especially in Europe. How many photos do you take in one photo session? For pre-wedding we usually take 350-400 photos (per session) and wedding about 1.000-1.500 photos (per day), it is depends on the circumstances, eg: weather, availability of location, etc. We will give you all the photo that had been taken after get rid of the photos that do not usable, such as test photo, really low exposure (dark), not focus, etc. Do you provide make up for the photo shoot? We don’t provide make up but we could refer you to some of very talented make up artist that we have worked with. Office Surabaya: JL. Kertajaya Indah Regency, Sukolilo, Surabaya // Office Yogyakarta: Jl. Depokan I, No. 200, Kotagede, Yogyakarta // We are travel around the WORLD!